Symbols of Resistance illuminates the untold stories of the Chican@ Movement with a focus on Colorado and Northern New Mexico. This film engages the importance of student activism; the effect of police repression and how issues of identity, land and community still resonate in the Chican@ struggles of today. Our in-depth examination of this historical moment arose from a major 40th anniversary program in Denver in 2014 to honor the martyrs of the 1970s, including six student activists who were killed in two car bombings in Boulder (los seis de Boulder). 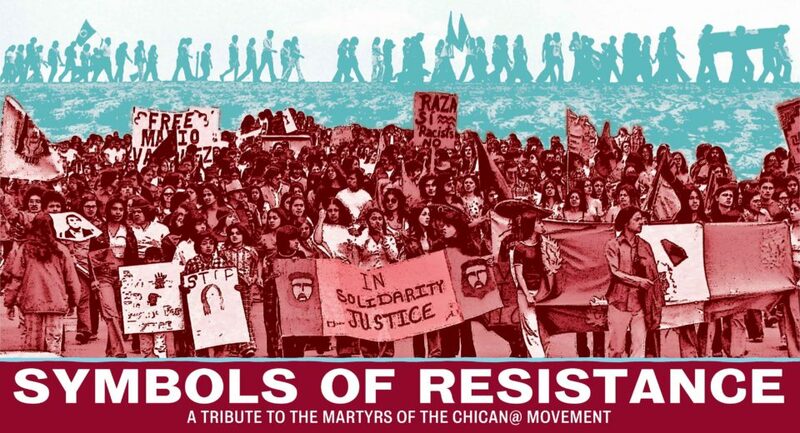 Our commitment to recognizing the lesser known stories of the martyrs of the Chicano Movement unveils an important component of the Chican@ struggle that is often not well understood–that the movement was not limited to organizing agricultural workers. Through interviews with those who shaped the movement and rare historical footage, Symbols of Resistances offers a window into a dynamic moment in history and movement building. Eric Mann is a veteran of the Congress of Racial Equality, August 29th Movement, United Auto Workers and League of Revolutionary Struggle. He worked at the GM Van Nuys Plant with 5,000 workers 2500 of whom were Chicano and taught in the Chicano Studies Department of Cal State Northridge.